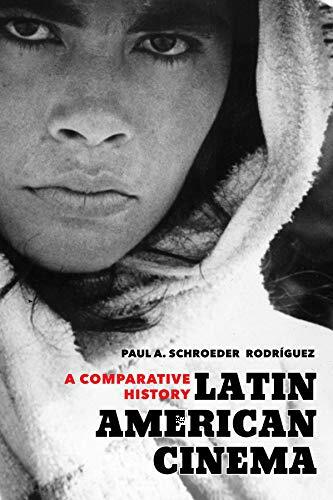 This book charts a comparative history of Latin America’s national cinemas through ten chapters that cover every major cinematic period in the region: silent cinema, studio cinema, neorealism and art cinema, the New Latin American Cinema, and contemporary cinema. Schroeder Rodríguez weaves close readings of approximately fifty paradigmatic films into a lucid narrative history that is rigorous in its scholarship and framed by a compelling theorization of the multiple discourses of modernity. The result is an essential guide that promises to transform our understanding of the region’s cultural history in the last hundred years by highlighting how key players such as the church and the state have affected cinema’s unique ability to help shape public discourse and construct modern identities in a region marked by ongoing struggles for social justice and liberation. Paul A. Schroeder Rodríguez is Professor and Chair of the Spanish Department at Amherst College. The author of Tomás Gutiérrez Alea: The Dialectics of a Filmmaker, he has published extensively on Latin American cinema in leading academic journals.